“I am Brazilian, and I never give up” was a slogan in a TV ad in Brazil a while ago. It seems that Angra took it very seriously because 27 years into their career and several lineup changes later, they’re still standing tall. Their new album Ømni, released this February 2018, is a testament to their longevity and persistence, certainly, after a 26-year long career, the band shows motivation and strength like never before. 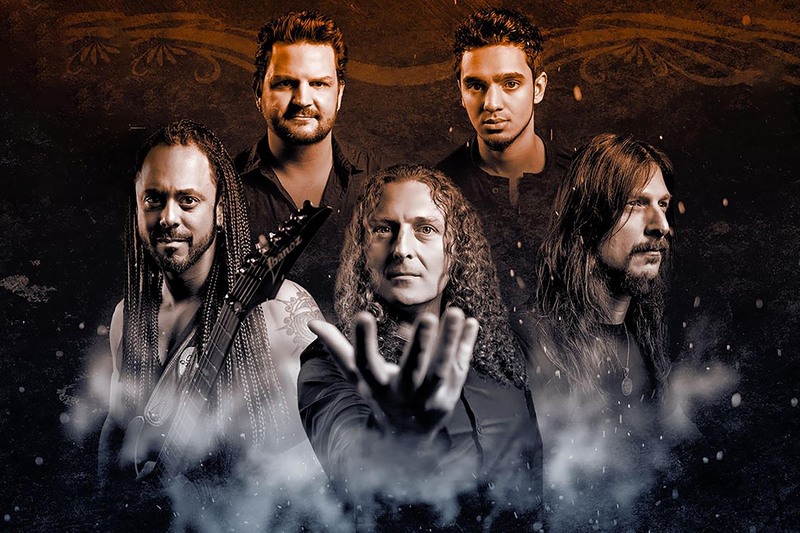 New beginnings are now becoming second nature for Angra, who delivered a record full of diversity, while rebooting the band one more time, after Kiko Loureiro (guitar) left to join Megadeth in 2015. Ømni has both feet firmly planted on their power metal origins, while once again drawing influences from Brazilian traditional rhythms and mixing things up with prog and even death metal. The idea of the album is to make reference to some of their previous releases (most notably, Holy Land, Rebirth and Temple of Shadows), and to present a set of science fiction short stories that take place at various places in time, simultaneously. The backbone of the plot is based on the idea that in 2046 an artificial intelligence system will change human perception and cognition. It is a system which will allow conscious communication between present and future human beings. Characters such as time travelers, cavemen, warriors, among others, help tell this story. It may seem hard to grasp on paper, but it does work sonically and lyrically. Once again, they recorded in Sweden with Jens Bogren, who also produced the previous disc, Secret Garden, and managed to capture the same excellent chemistry. Ømni starts with “Light of Transcendence”, a song that is guaranteed to please concert goers in their upcoming tour, even if it dwells too much on old tricks they have used extensively in past releases. “Travelers of Time” also shows their power metal influences on their sleeves, with high-speed solos, precise drumming, and soaring vocals. “Black Widow’s Web” was the song destined to be the focus of controversy in this release, since it features vocals from Brazilian pop singer Sandy and the famous growls from Arch Enemy’s Alissa White-Gluz. Sandy’s vocals are only featured briefly at the beginning and end of the song, while Alissa shines in contrast with Fabio Lione’s melodic style. Great guitar work and insane drum fills by Bruno Valverde. “Insania” has an unusual structure, since it starts with the chorus. Come to think of it that was a clever idea, because this chorus will stay in your head for weeks on end. The verses show some amazing bass work in the background, almost like a solo while the song develops. Mark my words, after one single listen of this song, you will notice …Insania/Insania will trap you there/Reality is torn apart/The living ones will meet the dead… reverberating in your head for the longest time! “The Bottom of My Soul” is a touching ballad, sung by the only original member and main composer, Rafael Bittencourt (guitars), with a mandolin and orchestra contributing to the soul-searching mood. “War Horns” is the heaviest song on the whole album, with a guest appearance by Kiko Loureiro, delivering once again incredibly fast solos. “Caveman” is one of the most intricated pieces the band has ever come up with. It shows their roots at the beginning, with tribal chants in Portuguese and a traditional beat from Northeastern Brazil, and evolves into a jazz/fusion breakdown, all with a prog metal background. “Magic Mirror” makes a lyric reference to the EP “Hunters and Prey”, and has a versatile performance by Fabio Lione, who seems more and more comfortable with his role in the band. With an interesting piano interlude and several tempo changes, this one will certainly please the longtime fans. “Always More” is another beautiful ballad which will please the fans of the band´s softer side, much like “Make Believe”, from the album Holy Land (1996) did. “Ømni – Silence Inside” is a long and heavy song, with vocals from Fabio and Rafael, amazing work by new guitar player Marcelo Barbosa and once again regional beats from Brazil towards the end. “Ømni – Infinite Nothing” is an orchestral piece which borrows melodies from all other songs on the album and works as an end credits theme in a movie. Although there are melodies and hooks that will grab you straight away, this is not a release that will be fully absorbed and understood in one listen. Definitely a grower, and yet another remarkable achievement in Angra‘s lengthy career, Ømni fabricates an interconnectivity that shines light upon a musical journey of conjoined moods and immersive dynamics, undoubtedly positioning itself among the best in the band’s discography. 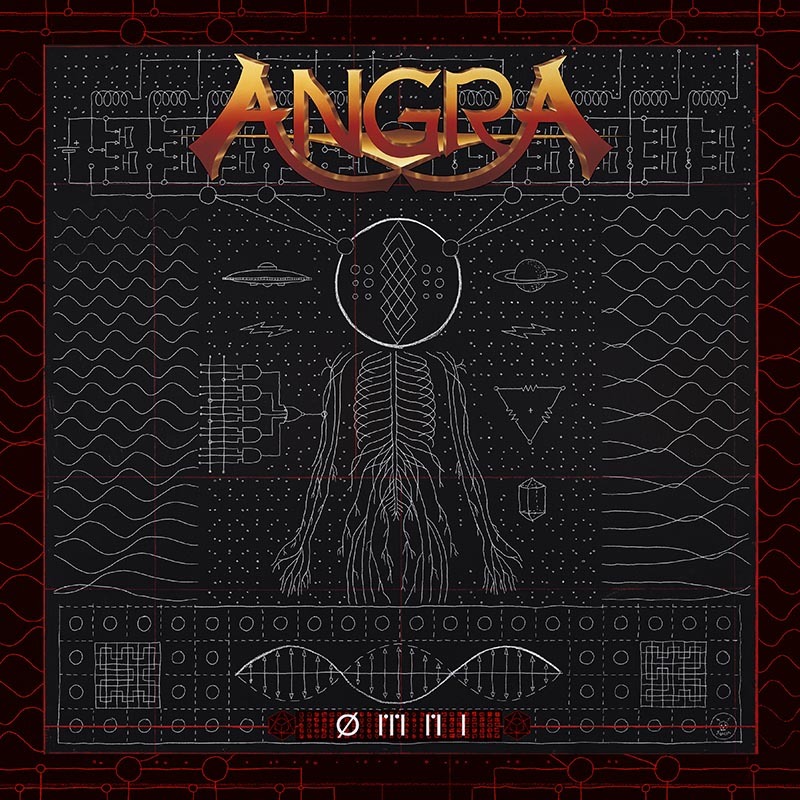 Even in a cultural environment increasingly sterile and unfavorable for music with soul and identity, the band has gathered eleven tracks that completely differ from each other, but at the same time tell a cohesive story, and wander through all styles and nuances that have made Angra a worldwide reference. Having recently played in the carnival parade in Bahia, the band will embark on an extensive world tour in 2018, including a return to the stages of America’s premier prog/power metal festival ProgPower USA in September. Be there or be square!